Happy Monday to all of you! Hope your weekend was great! Today i am going to share with you a birthday banner made using Papericious Glided Onyx paper pack and Altenew Caps Bold Die set. 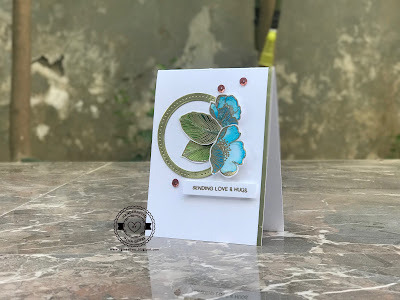 This paper pack is gorgeous .You can use them in any of your projects. I think every crafter should have this paper pack. It was fun creating this banner and i am looking forward to create more on different themes. The idea was running in my mind from the day i received the Alphabet dies from Altenew. 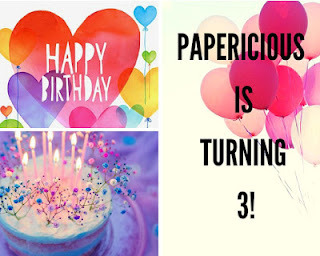 This banner is specially made for wishing Papericious a very Happy Birthday. Each square is of size 4"x4". Doily used is from Prima Marketing. Papericious March Challenge - Birthdays + Sparkle! Thankyou so much Sunila Mam! Lovely banner! thanks for being a part of our celebrations ! 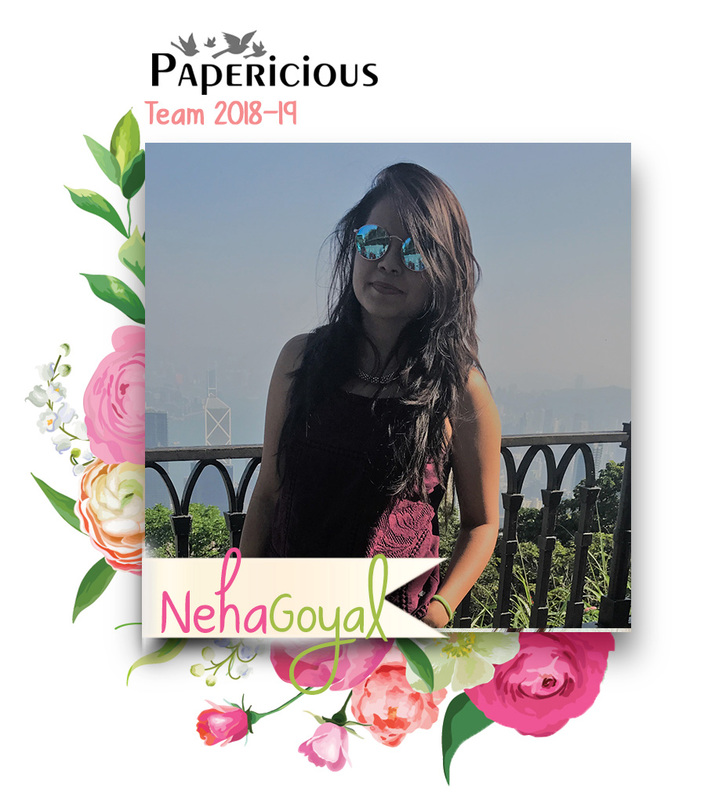 Lovely banner..thank you for playing at Papericious challenge DT Daksha.